I love living in the DMV. There is always something fun going on! That is certainly a perk of living in a high traffic area. We have a ton of amazing shows, concerts, and live events happening all year round. Part work and part love for the arts, I am going to at least two major events per month. As much as I love a night on the town, let’s face it, driving there and back is nowhere near as enjoyable. This is when a professional car service would totally come in handy right? 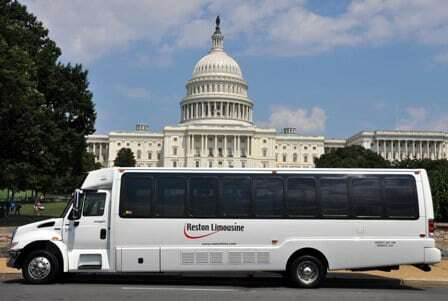 Introducing, Reston Limousine! 1- Convenience is everything! I loved being able to tell the scheduler our plans, pick up times, destination, and be done. We received a text message about 15 minutes prior to our desired pick up time saying the driver was there and ready. After the concert we received a text, with a map image, letting us know exactly where our ride was waiting for us. So easy, so convenient! 2- Make it memorable! Going to a special show or concert is a totally magical experience. Why not make it even more special with a chauffeur service? 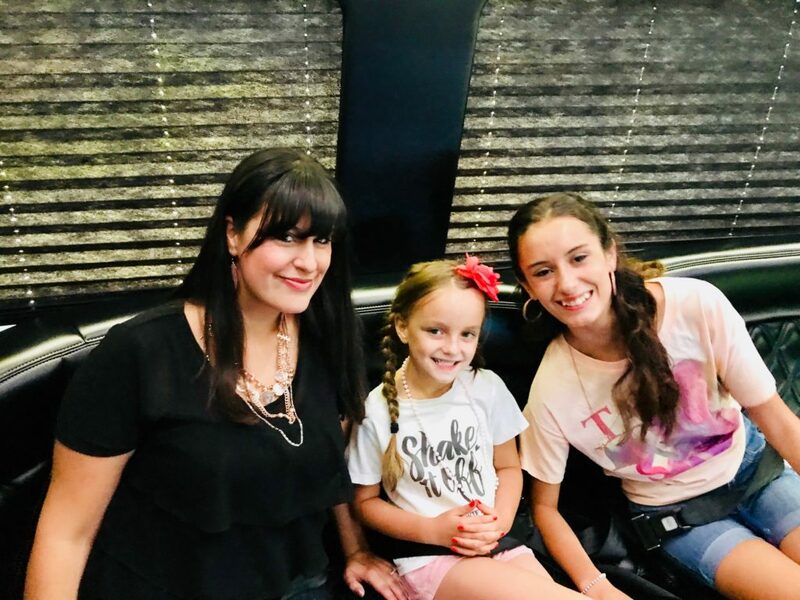 Our Concert Limo was complete with mood lighting and a full audio & visual entertainment system (DVD, MP3 Ready, AM/FM). This meant we got to crank our own tunes on the way to the concert! My girls thought this was the coolest thing ever! 3- Comfort. Sitting in traffic can take a toll on you, your mind and your mood. The amazing part of being driven is we didn’t even have to look at the traffic if we didn’t want to. Being in the spacious Sprinter Limo, we had plenty of room to safely stretch out and recline back as desired. We had plenty of room to throw our hands in the air and dance, too 🙂 No one noticed all of the traffic we had to wind through. 4- Luxury VIP Treatment! Who doesn’t want the VIP treatment? Reston Limousine has the VIP hook up. 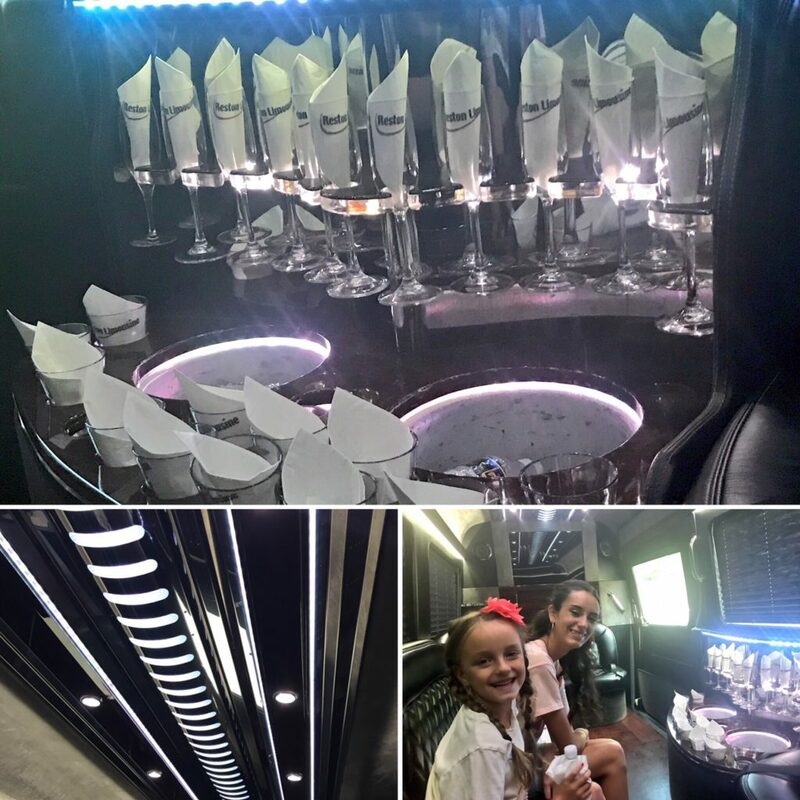 They offer a host of amenities that will make your limousine experience entertaining from the moment you step inside the vehicle. Customizable plans, a gorgeous interior, complete with ice-cold beverages and snack bar. 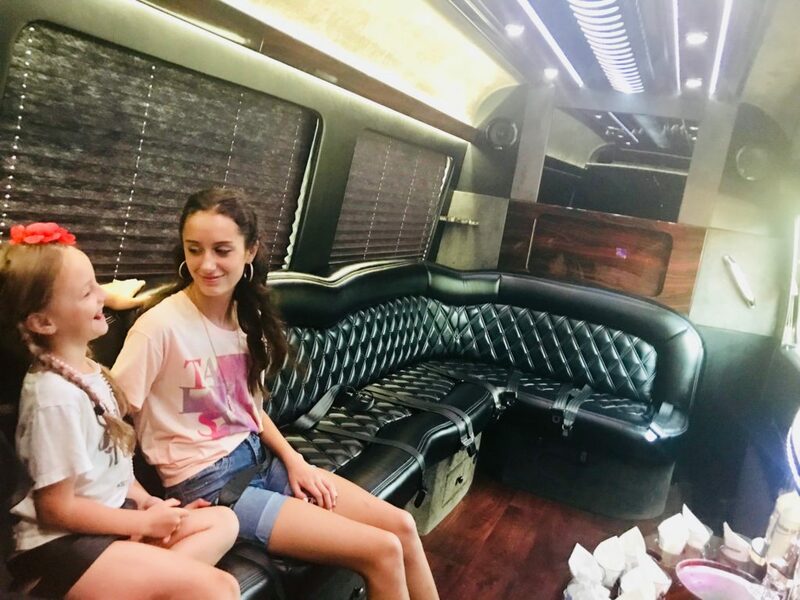 The limousines also have a privacy partition in select vehicles, as well as luxury seating and room to have a great time. 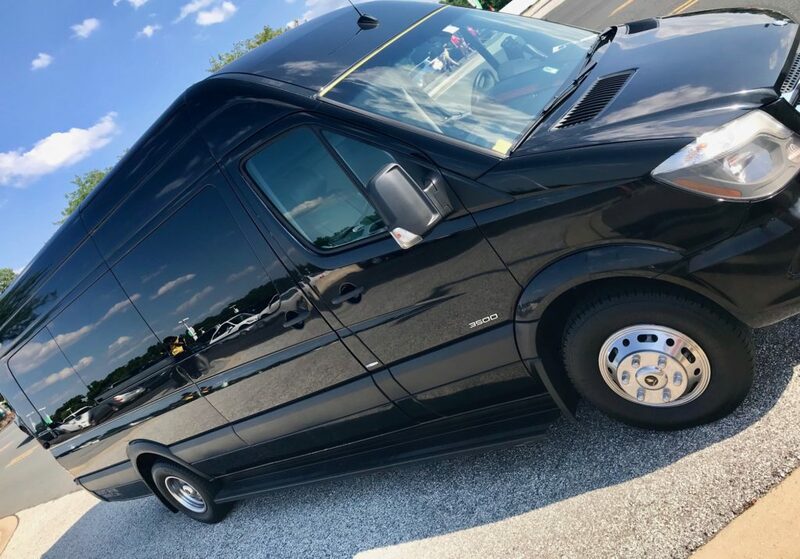 As you can see, having a reliable and professional chauffeur service like Reston Limousine take care of you and your guests can make all the difference. Whether you are going to the airport, the winery, or enjoying a night on the town, let Reston Limousine get you there. I was provided with a free service in exchange for my review. As always, all opinions are 100% my own. Photo #1 Credit- Reston Limousine. Easter Egg-Stravaganza at the West Belmont Place! Peppermint Movie ~ Free Passes! « TEEN TITANS GO! TO THE MOVIES – Giveaway!